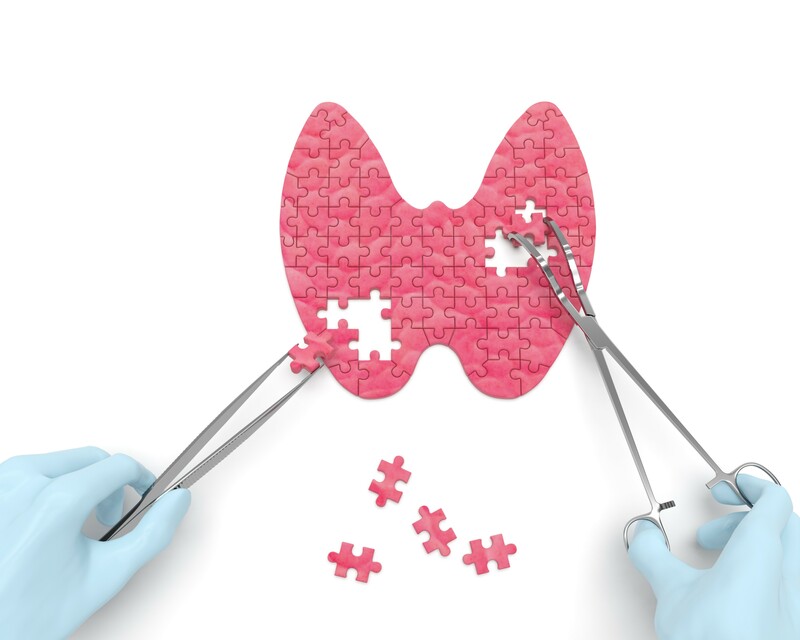 People with celiac disease have a higher risk for thyroid disease. A new study from China Medical University, Shenyang, strengthened the evidence using a meta-analysis of all relevant research conducted prior to May 2016. The research team surveyed medical literature for studies that addressed both celiac and thyroid disease. They set standards to exclude data having weak statistical value. Thirteen studies were included, involving 15,629 people with celiac disease and 79,342 people without celiac disease for comparison. Those with celiac disease were three times more likely to also have thyroid disease. The reason for this association is not yet clearly understood. Shared genetic traits might contribute to both conditions. The article recommends that people with celiac disease should be screened for thyroid disease. However, the authors urge caution in interpreting their results, as all studies so far have been subject to statistical bias. The scientific literature lacks robust data on how a gluten-free diet affects thyroid disease in people with celiac disease. However, this analysis suggested thyroid disease was equally common in untreated patients and those following a gluten-free diet. Sun X, Lu L, Yang R, Li Y, Shan L and Wang Y, “Increased incidence of thyroid disease in patients with celiac disease: a systematic review and meta-analysis,” PLoS ONE, Dec 28 2016, 11(12):e0168708, doi:10.1371/journal.pone.0168708. If you notice several of these symptoms, it’s worth visiting your physician for a blood test. If you are convinced that your symptoms are not being caused by celiac disease, you must be your own advocate when it comes to asking for blood tests and having your thyroid tested. Some helpful blood tests include TSH, free T3, reverse T3, free T4, thyroid antibodies, vitamin levels, cortisol level and iron level.